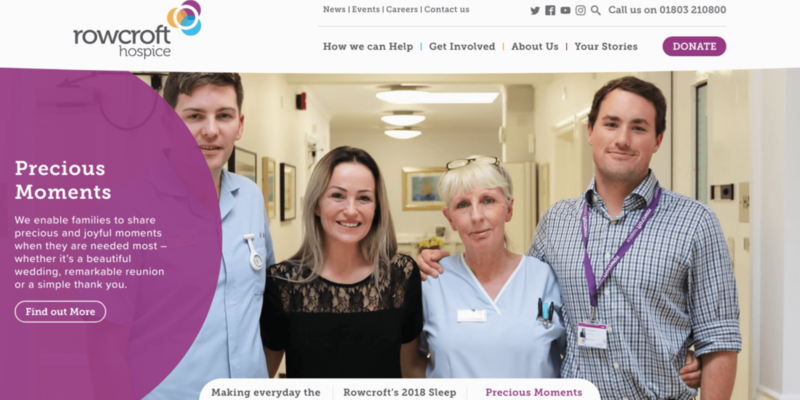 On May 1 this year, Rowcroft celebrated the completion of a major project, the launch of the new website. Six weeks on from the ‘go live’ date, we would like to take this opportunity to say a special thank you to the key sponsors of the project, Western Power Distribution and Bluestone 360. The support from Western Power Distribution and Bluestone 360 has played a vital role in helping Rowcroft to communicate with a growing digital audience, and continue to support patients and families in South Devon.